Fact sheet on the Webb Mission. Lee Feinberg talks about the top 3 things that Webb can do that Hubble cannot and more. John Mather: "Ask Me Anything"
Dr. Mark Clampin (Webb Observatory Project Scientist) answers questions about Webb and exoplanets. During SXSW 2014, we held a tweet-chat with some of the scientists on the"First Signs: Finding Life on Other Planets" panel. Women with diverse jobs on the James Webb Space Telescope answered questions about the female experience working on a NASA flagship mission in the TwoXChromosomes subreddit. During the USA Science & Engineering Festival in April 2014 and focused on STEM (Science, Technology, Engineering, Math) topics. This tweetchat occurred during the USA Science & Engineering Festival in April 2014 and focused on STEM (Science, Technology, Engineering, Math) topics. Answering qustions were Alberto Conti, Jason Kalirai, Amber Straughn, and Blake Bullock. The answers are very succint due to Twitter's 140 character limit (and we also added the #xstem and #xstemchat hashtags were used in the answers). Often the questions are rephrased in the answers so that our Twitter followers would know what we were giving the answer to. 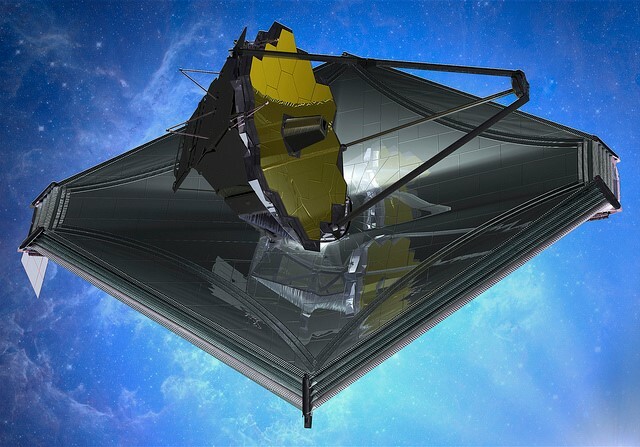 A: We have 7 yr test pgm to make sure everything on #JWST works. Very difficult but @NASA does hard stuff! (Amber Straughn) We execute a pathfinder build & test: hardest parts created 1st then find least risky way to build elements that follow. (Blake Bullock) #JWST construction & testing also incorporates lessons learned from previous @NASA Great Observatories, like #Hubble.